Venser, oh Venser, how will you get out of this mess? Windgrace marches with a floating Venser by his side. There's nothing the artificer can do but watch as beasts, slivers , mages, lich lords, necromancers, and every type of creature that servers the great Lord Windgrace fall in line behind them. They stop in a copse of trees and four snake beings slither up the trees to either of him and latch on to his limbs, pulling him in a spread-eagle position. It's time for the questioning to begin. And Windgrace tells him straight out that every answer must be truthful otherwise he will come to an abrupt end. Venser tells him his name and that he is a native of Urborg. "And yet you build Phyrexian machines." Venser felt the danger rising as anger crept into Windgrace's powerful voice. He struggled to remember how to deal with godlike planewwalkers, feverishly working through his memories of Jhoira, Teferi, Radha, and Nicol Bolas. "With respect, my lord," he said, "I build my own machines. From Phyrexian parts." He tells the panther-god that while he has repurposed the pieces of what used to be Phyrexian machines, if there was any sort of life in any piece he procured, he make sure to strip that out. And yet here they are, so says Windgrace. A few weeks ago Venser used his machine, and then the weather began to change, and fully functional Phyrexians have been appearing from the globe of energy above Urborg. Even if he tried his best to prevent the reactivation of any Phyrexian, even if he never considered that building his own machines might activate others, the result is what matters. This is his fault. He had ruined over three hundred years of stalwart defense of their homeland. Lord Windgrace believes Venser about not being a Phyrexian or being in league with the Phyrexians... But what about the Weaver King? 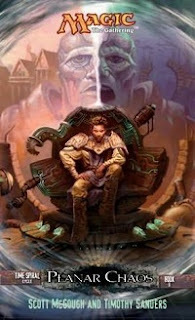 Even as Venser is about to say he doesn't have any connection, or even any knowledge, of someone known as the Weaver King, the same voice that has spoken to him before speaks up in his head. Lord Windgrace senses the new presence immediately. Venser quickly denies knowing what it is, that it only began speaking to him a couple weeks ago in Shiv, and all it ever tells him it to rest and give up and lie down. Rest now, it said. Don't struggle. We'll be together soon. In the silence, Lord Windgrace's followers remain still and Venser sees the same ragged scarecrow-like figure from earlier. Venser calls out to grey-helmeted figure . He then thinks to himself that might not have been the best of decisions as he watches him pull a throwing spike from his belt and lifts his arm up ready to throw it straight at Venser. The Weaver King speaks up again. No, Dinne. I have special plans for this one. The figure, Dinne, nods its head and disappears. A mist appears and Windgrace reforms. One of his warrior-chiefs comes with a message and is sent away. Windgrace tells Venser that he appreciates how his new machine has much less Phyrexian in it. Lord Wingrace tells him that he now works for him. Both he and his machine will save Urborg. That Weaver King is one creepy fellow. And now he has partner. And he's a powerful enough figure that a planeswalker is cautious and concerned about him. Windgrace, the Weaver King , and Dinne are all unknown to me at this point. I'm sure at least one, if not all, have appeared elsewhere in the Magic storyline, just not in the parts that I've read. For people who have come across these characters, I'm sure they're getting a sense of nostalgia and/or expectation of what's to come, while what I get is a sense of mystery. I don't know how other people will experience this, but it's doing great at keeping my interest. Lord Windgrace is actually one of the earliest planeswalker characters (meaning he was created early in MtG's history, not necessarily in Dominarian history, though he is actually older than Urza). He's mentioned tangentially in a few places. For example, after the first four MtG novels -- Arena, Whispering Woods, Shattered Chains, Final Sacrifice -- they published the Tapestries anthology series, including "What's in a Name" featuring Loot Niptil. Loot was an amnesiac wizard, and the name Loot was given to him by a band of cat warriors after he was abandoned by his summoner on the field of battle. The cat warriors followed (and worshiped, and made regular sacrifices to) Lord Windgrace. 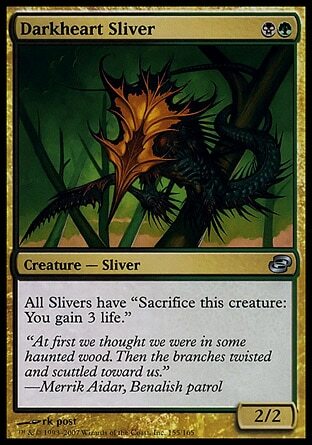 I don't think he necessarily stylized himself as a god the way Freyalise did, but this was the era where Planeswalkers were depicted as summoning people away from their homes, sometimes returning them, often abandoning them, over and over for centuries at a time. Cults sort of naturally develop. He may have been mentioned in the early comics or videogames as well, but I can't recall any specifics. 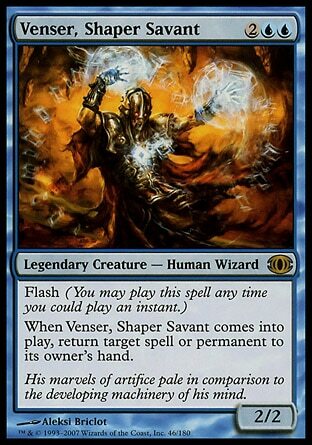 Later, he was one of the Nine Titans assembled by Urza to repel the Phyrexian invasion in the Invasion block storyline. 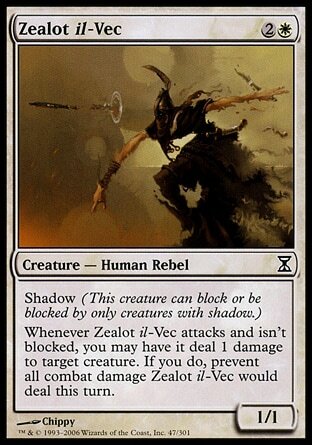 He's seen in the card art for at least Planeswalker's Fury, and Illuminate.